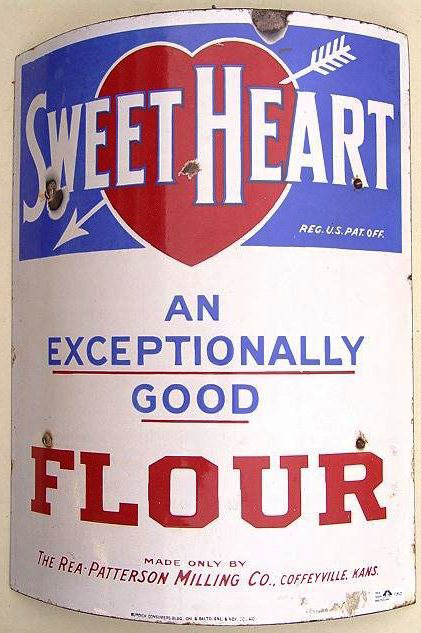 Curved sign for Sweet Heart Flour. An Exceptionally Good Flour. Made only by The Rea-Patterson Milling Company, Coffeyville, Kansas.